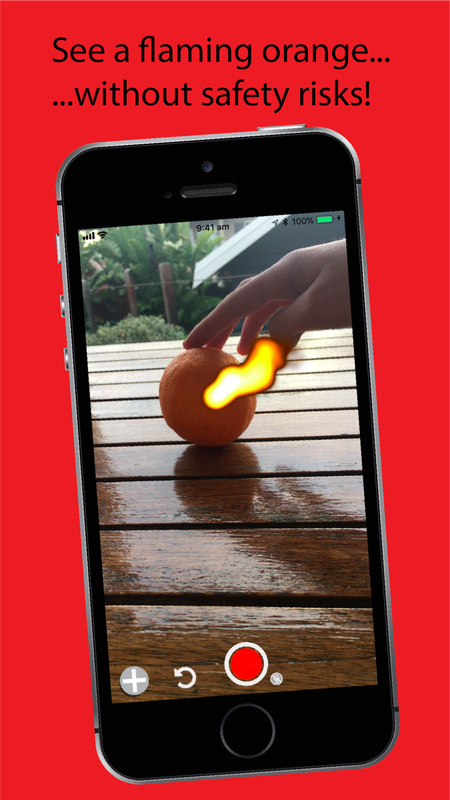 Bring your imagination to life by augmenting your camera and make oranges sparkle, pens ignite and turn red roses into your face! 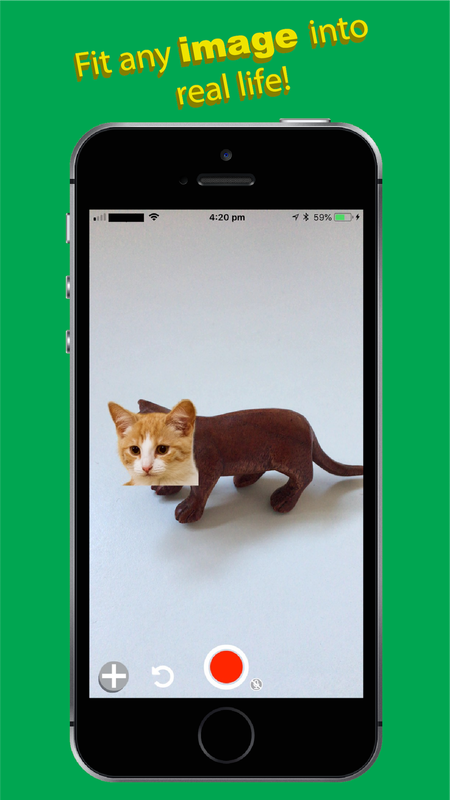 WonderGlass is a camera-augmenting app where you can put any image into real life. Add cool effects to any coloured object and record awesome and creative videos! Simply find an object with a colour and attach an image or an awesome effect to it! The object will now have that image… ON IT! Choose a photo from your photo library and then completely fill the square in the centre of the screen with the colour of the object you want the image to attach to. Now your object will be replaced with your selected image on the screen! Choose from a selection of effects and then completely fill the square in the centre of the screen with the colour of the object you want the image to attach to. Now your object will have a cool effect on top of it! Simply tap the red button to record your video then tap the pause button to finish it. You may then choose to save the video to your photo library so you can capture the awesome moment and share it with your friends. Select an image by tapping on it then toggle the lock on or off to allow the image to rotate! If the lock is unlocked, the image will try to align with the rotation of the coloured object it is on top of!